Awnings and Canopies are a great way to improve the face of your home or business. Awnings and canopies enhance and distinguish architecture, street appeal, character and visibility. Additionally, they create a presence and an image, which is important in driving customers into a business. 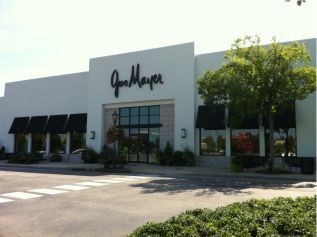 Awnings and canopies are environmentally friendly, energy efficient ways to reduce heat and block-out harmful UV rays. One of the modern design themes used is to make the outdoors just as livable as the indoors. Custom Enclosures and Exterior Curtains can be utilized to provide additional floor space, creating an outdoor area for entertaining or seasonal use. When you decide to add function, beauty, and elegance to your outdoor space, a retractable awning can be a perfect shading solution. With our Durasol brand of retractable awnings, you can use and enjoy your deck or patio more than ever. This will allow you to be in total control of the amount of shade or sun you want, with just a touch of a button or a turn of a handle. Our Durasol brand of exterior shade products can instantly turn an outside area, into a sun protected environment. Our screens create additional living space by allowing our customers to enjoy their outdoor areas year around. Our screen products come in either motorized or manual gear operation. Whether you need to block light wind, full solar protection, pollen or rain, our custom screens are your solution. Cain’s Awnings and Canopies offer a full range of seaming and welding for your fabrics. In addition to traditional sewn seams, we offer Hot Wedge thermal fusion welding. Convenient – The needle-and-thread method can accommodate a variety of thicknesses without much adjustment, and many shops already have sewing capabilities. Versatility – Projects involving tight angles or sheer fabrics can simpy not be welded, and sewing is the best alternative. Efficiency – Welding seams, especially for larger projects and larger quantities, can be much faster. Waterproof – Although sewing technologies have improved, welding is by far the most leak-proof method. Durability – Welded seams will hold up to testing and UV-Rays for added strength and extended awning longevity. Wedge welding is generally used to seam panels of fabric together. Seam width is determined by the width of the wedge. Typical sizes are 3/4″ through 2″ with the most common being 1″ or 1 1/2″ which are primarily used for such applications as tarps, curtains, awnings and canopies. Wedge welding has an advantage over Hot Air Welders in that they produce little or no smoke when used. Wedge welding is most efficient when used for long seams as the wedge welder generally travels along the material in a track which is built into a table. Once in position, the material does not move as it is welded together. Large covers for baseball fields, pool covers and other geotextiles are excellent candidates for wedge welding as speeds of 50-60 feet per minute can be achieved. Wedge welders use a tapered metal “wedge” with heating elements implanted in the body to create the heat. There is an upper and lower material guide, one for each of the two fabric panels. One piece of material is passed above and the other below the hot wedge at a predetermined speed, then the fabric is partially melted by contact with the wedge. The two fabric panels are then immediately passed under a set of silicone “pinch” rollers which apply pressure to the hot materials and roll them out the end of the machine. The material is now sealed and bonded under pressure creating the finished seam. Each type and weight of material must be tested to determine the optimum speed and temperature for a proper seal. Projects with large panels are best suited for wedge welding. Hems and pockets can be done on a wedge welder with a special folder attachment. Awning and marine fabrics such as Acrylics can be lap seamed with the use of welding tapes.